The Men's Wetherlam Socks from Blue Mountain are light weight quarter length ankle socks that offer excellent cushioning in key areas such as the heel and toe area. They have mesh ventilation for excellent breathability while the high Merino content helps to reduce the chance of odour causing bacteria building up. 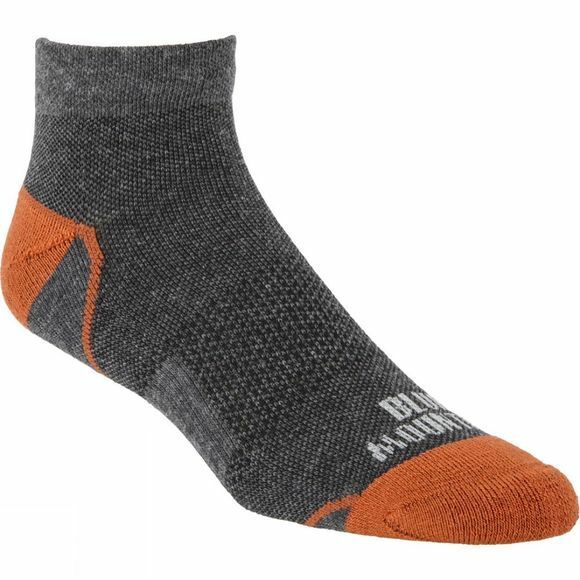 The pack comes with one pair of Grey socks and one pair of Blue socks shown in the images above.